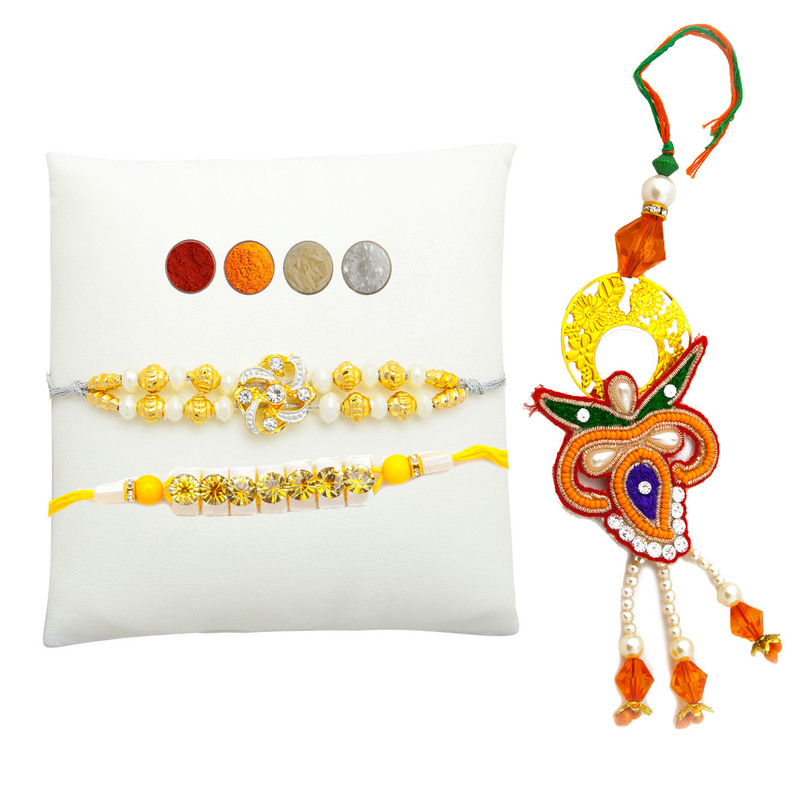 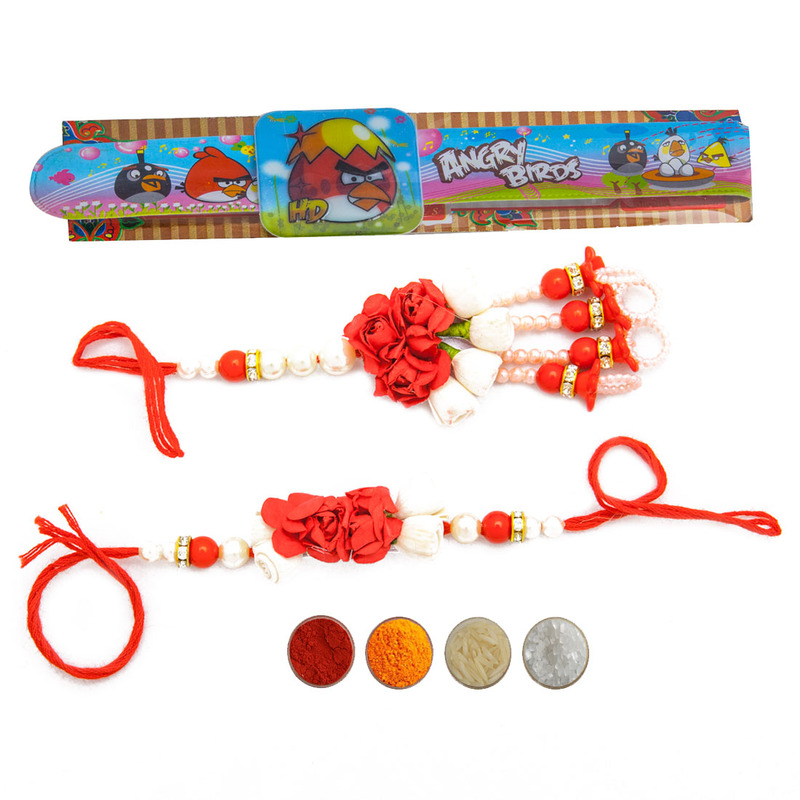 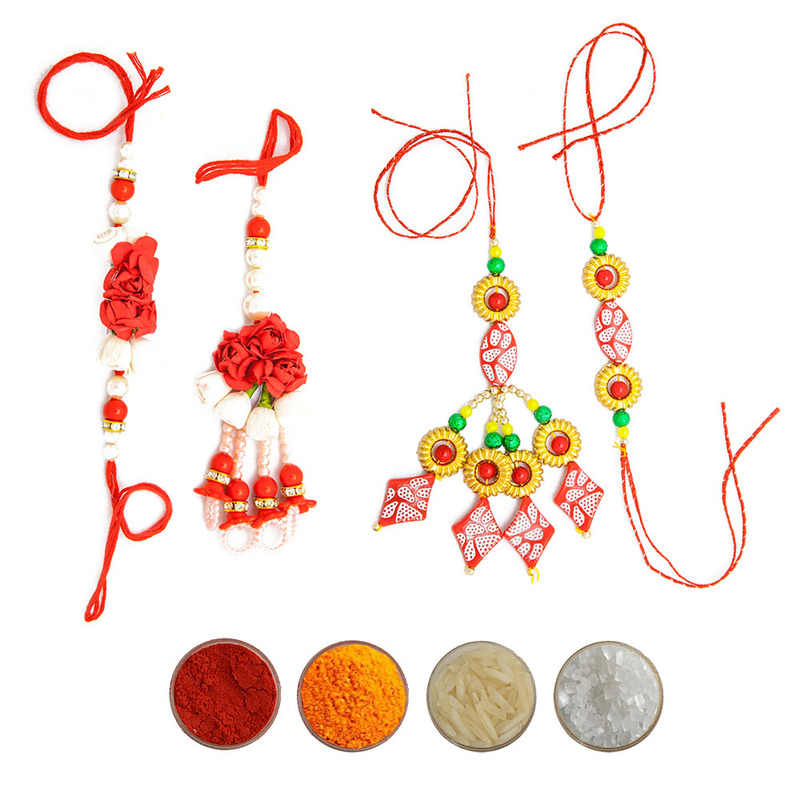 This is a lovely set of 5 lovely designer rakhis threads. 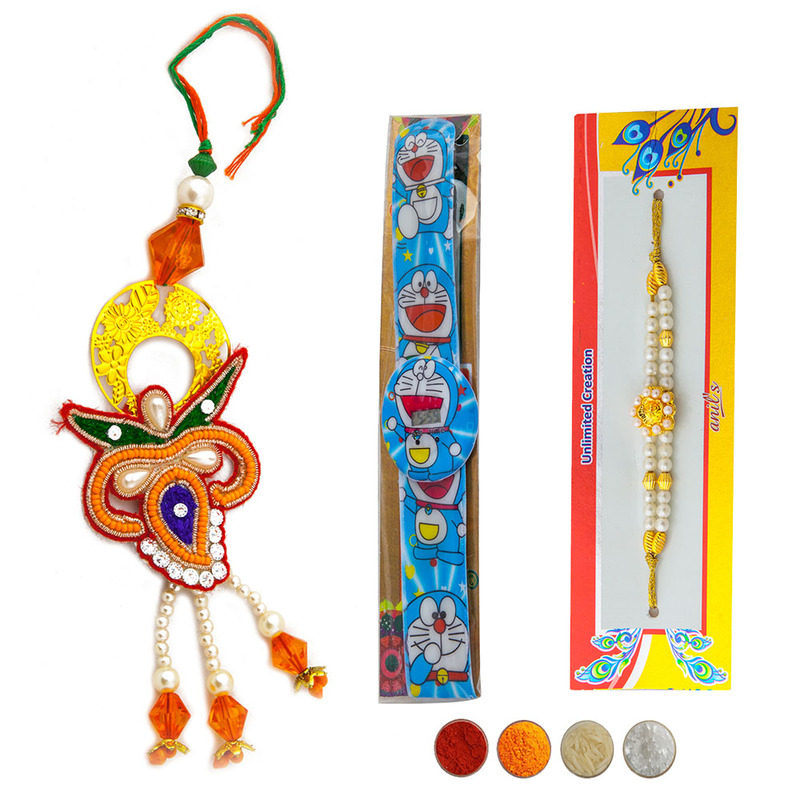 They are very elegant and attractive artfully crafted and designed with white pearls, golden threads, golden beads, multi-color beads, satin threads, mauli threads, Resham Dhaga and attractive motifs and patterns. 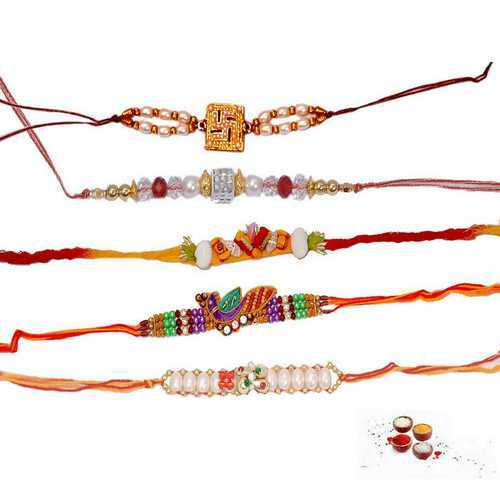 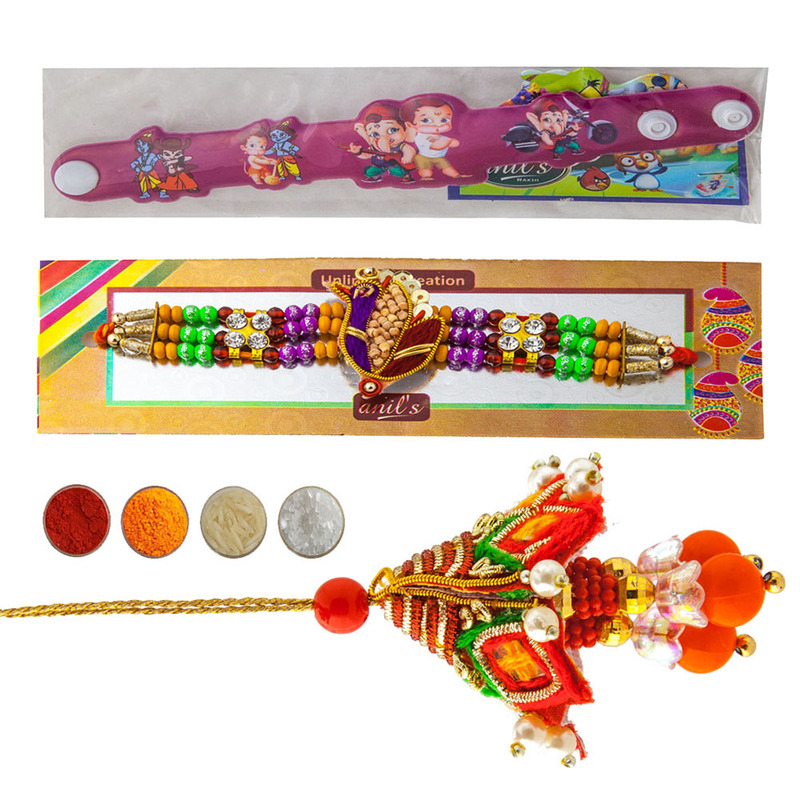 Grab the set of these beautiful designer rakhi threads with free complimentary Roli, Chawal, Chandan and Mishri for Tilak and send to your loving and caring brothers.